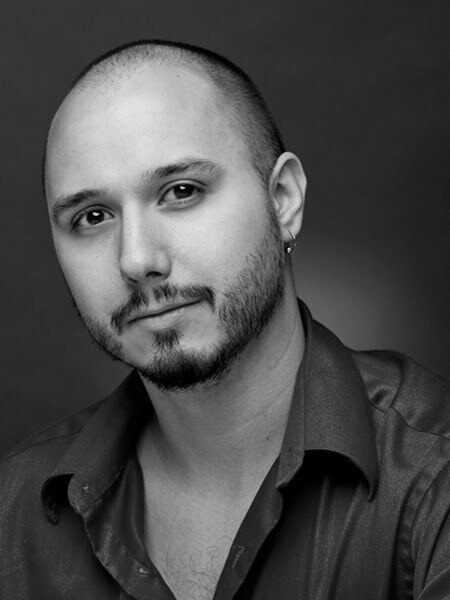 I do photo retouching quite frequently, and I’ve done it professionally for two employers. When I worked for an Ebay business, I photographed merchandise and retouched those photos, to show our products in the best, most accurate, light. For things like CDs, DVDs, and video games that had plastic covers, a direct photo with a flash would result in glare; so instead, I’d take photos at an angle, then distort the product back into a rectangle so the customer could see its real shape. I also toned down things like fingerprints, if the unflattering camera flash caught them and made them look deceptively prominent. I didn’t remove permanent imperfections on the products themselves, like light wear on used items; obviously that would be deceptive. The entire point of retouching the photos was so the customer knew exactly what they were bidding on. When I worked for PerBlue, Inc. I was routinely asked to retouch photos taken for advertising and promotional purposes. In photos featuring our employees, I would remove things like sweat stains (hey it got hot in our office in the summer), whiten eyeballs and teeth, remove blemishes, and simply adjust for the fact that often these photos were taken by other employees and their friends in casual office settings, rather than staged by a professional photographer. A great deal of this work was specifically for social media, namely facebook and twitter. 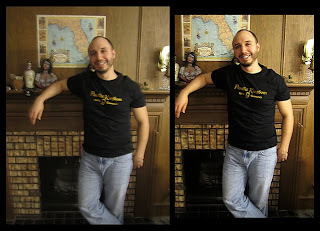 This photo of me modeling their t-shirt was very blurry, and a bit more complicated. Among other things, the logo on the shirt was just too blurry to rescue; I removed it completely from the photo, and imported a digital version of the original logo. 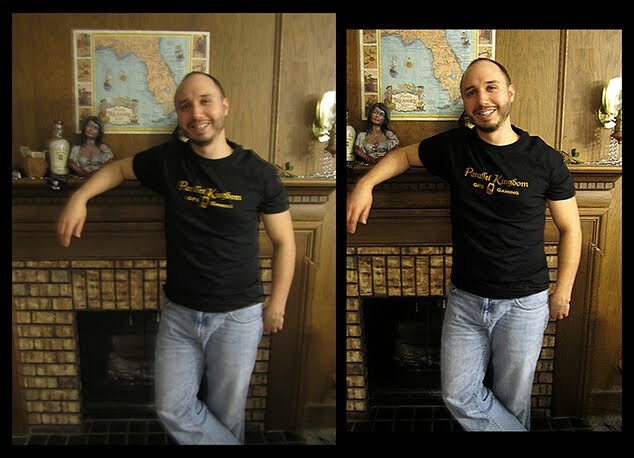 A few Photoshop tricks made it look like it was printed on the shirt in the photo. Nearly every one of the photos I post on social media has been retouched. Color and value correction, blemish removal, I’ll take out unnecessary background elements like dust and cracks in drywall, etc. Some photos are composites of two or more photos. The photo of me in the creepy ball mask is a composite of three separate photos. The one on the right, of my friend Tim and me, was a combination of two separate photos. He was smiling in one and I was not, and vice versa; so I merged them together into one happy image. 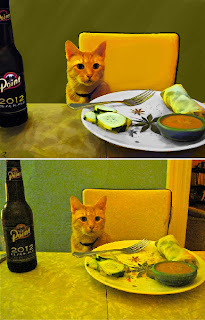 Finally, I’ve played around with artistic photo manipulation as well, usually for comedic purposes. I’ve photoshopped myself as various video game characters, like Tingle from the Legend of Zelda, Kratos from God of War, and Kano from Mortal Kombat. Due to the humorous nature of these, I typically stop short of photorealism; it strikes me as much funnier to have the doctoring be noticeable (the satirical news site The Onion often does this with their humorously doctored photographs as well). A friend of mine had this photo of his roommates’ cat and wanted me to clean it up enough to print and frame as a digital painting, to give them as a gift. I enlarged the photo to print resolution and painted on top of it to give it an artistic feel. A self portrait for professional use. This was a digital photograph that I altered in very subtle ways using Photoshop. The most dramatic change was that I had not shaved this day. I digitally removed the hair on my neck and cleaned up my beard. There are other changes that are not detectable, which of course is the point!